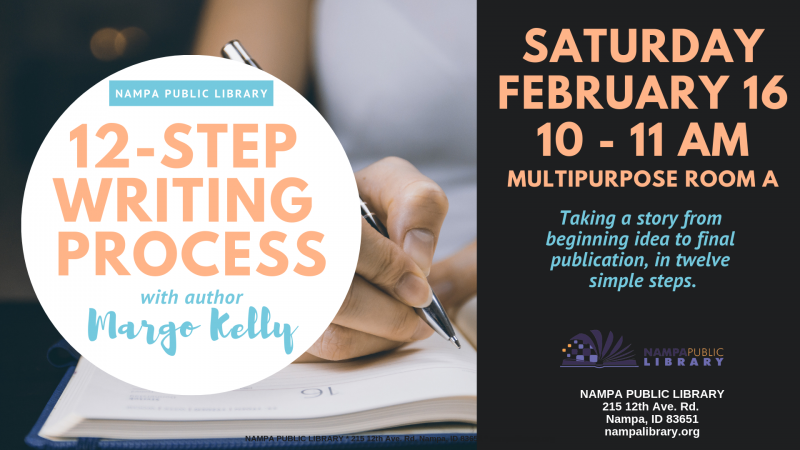 In a free, one-hour session at the Nampa Public Library, Margo Kelly will expound on her “12 Step Writing Process” to aid aspiring writers in crafting a book. Learn tried techniques in developing, revising and submitting a novel to editors at publishing houses. Potential authors and people wishing to improve their writing skills are welcome to join Ms. Kelly, February 16 at 10 am, in Multipurpose Room A. For additional information on this program, and other library programs, contact 208-468-4474.